How can we increase participation and promote inclusivity of women in environmental projects? Well, what is really needed is data on the following topics in order to investigate the nature and severity impact of each over different timeframes in given locales. It will also be important to determine the cost and efficiency of possible response measures. First, capacity development is necessary in order to devising gender response strategies. Emphasis on the participation of women in environmental decision-making, developing policies, plans and appropriate legislation in the field of supervision and control of development activities adversely affecting the environment and its vocabulary. Increasing advocacy and awareness by supporting women’s associations working in the field of education and environmental projects will financially and morally enable these fields to discharge their functions. We must also determine the proper ways to use the qualitative process of natural resources and ways of interaction with the environment and women by raising awareness of environmental laws. Coordination, communication, and networking, with an emphasis on the role of media in spreading environmental awareness will highlight the role of women and stimulate their participation in climate change-related projects. This will allow us to direct messages to the appropriate information on climate change and how it impacts women, specifically, as well as how we might be better able to deal with it. Clear information about, and equal access to, financial resourcessurrounding this issue are especially important. There are gaps in the field of environmental policy that will be important to address. This includes supporting programs and funding of small projects, as well as micro financing projects for those who wish start their own projects. Currently, the proportion of female beneficiaries of such programs is only about only 25%, in total. Thus, field studies must be performed in order to identify the determinants of this gap, and to suggest ways that it may be bridged. Institutional Focal points are needed at the national and international levels to garner expertise, develop and coordinate comprehensive strategies, and advocate for broad-based planning and action. Technologies suited to the specific needs and circumstances of different cultures and geographical representation. In Cairo, especially in the rural areas, it’s essential to provide women with adequate information on how to deal with banks and institutions that support their production activities. It will be key to impart women with support, equipment, material and the financial resources necessary for the establishment and expansion of small productive projects (retail trade services, industry, and crafts). It would be possible to do this through technological aspects, such as websites, free group mobile text messages and social media. Importantly, Egypt is ranked 65 out of 86 in the 2012 Social Institutions and Gender Index. The country was ranked 82 out of 102 in the 2009 Social Institutions and Gender Index. Egypt is ranked at 113 (out of a total of 187 countries) in the 2011 Human Development Index, with a score of 0.644. The Gender Inequality Index score is not provided for 2011. 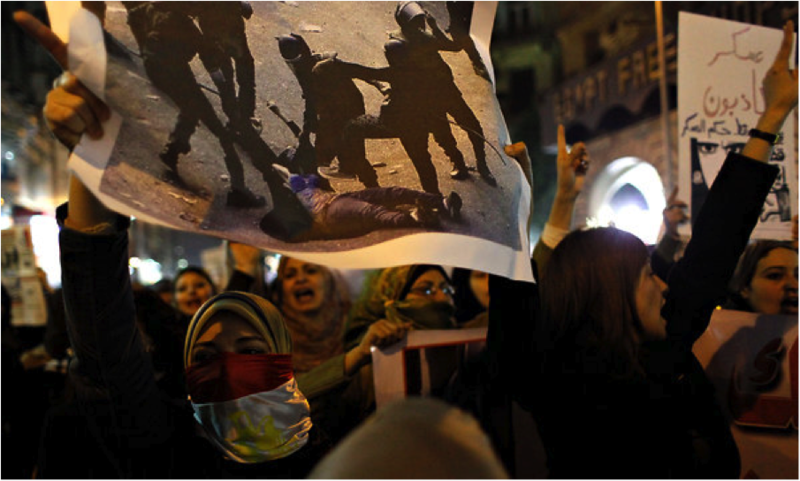 Egypt is ranked 123rd in the 2011 Global Gender Gap Index, with a score of 0.5933. Thus, an applicable approach that visualizes the concept of gender issues as a means to “strengthen families” rather than “empowering women” will be crucial to avoid the negative reaction and infamous reputation the word gender had possessed in the MENA region. Thus it is critically important to support working women through such legislation as maternity insurance and additional health insurance provisions for female-headed households which would support women in the labor market. National campaigns for illiteracy eradication can serve in this context. NGOs, despite their very large number (at least 19,000 in various fields of activity with an extensive geographical coverage) suffer from severe constraints. Although some NGOs are very active and have an impact on society, constraints still inhibit most of them from playing an active role in the development processes, in general. Despite some Governmental efforts to enhance their contribution to development, a major campaign to promote the culture of volunteerism is needed. Serious schemes of health and social insurance must be made available and accessible for women in the informal sector, especially those affected by climate change (e.g., the agricultural sector). In conclusion, advances in gender-responsive climate change adaptation in Egypt will depend on a multifaceted approach, which includes changes in media, research and policy to both bring women’s voices to the table and ensure that women at all social and economic levels are given the tools they need to support themselves and their families. Governmental commitment must be continued into legal reforms, especially with respect to achieving gender equality. Ayman Ramadan Mohamed Ayad is an engineer and Water Resources Advisor at National Water Resources Plan (NWRP-CP), and has been involved in the future vision for Alexandria integrated water urban development. He also teaches applied hydraulics at Alexandria Universities, and serves as the Egyptian Coordinator for NAYD (Network of African Youth for Development). ← Winners of Our Urban Futures to be Featured in Magaz Magazine!